Saturday mornings I do a kitchen/fridge clean sweep and I had a few fruits and veggies that needed to be eaten or pitched. So I made this juice concoction. Let’s just say I was pleasantly surprised by this combo. The only thing j would have added was lemon, but it was sweet, smooth and refreshing, plus has awesome detox benefits. i need to juice more, thanks for the inspiration! No problem! Juicing is pretty awesome, I’m still quite new to it, but I’m starting to get the hang of it and being a bit more adventurous with my ingredients. 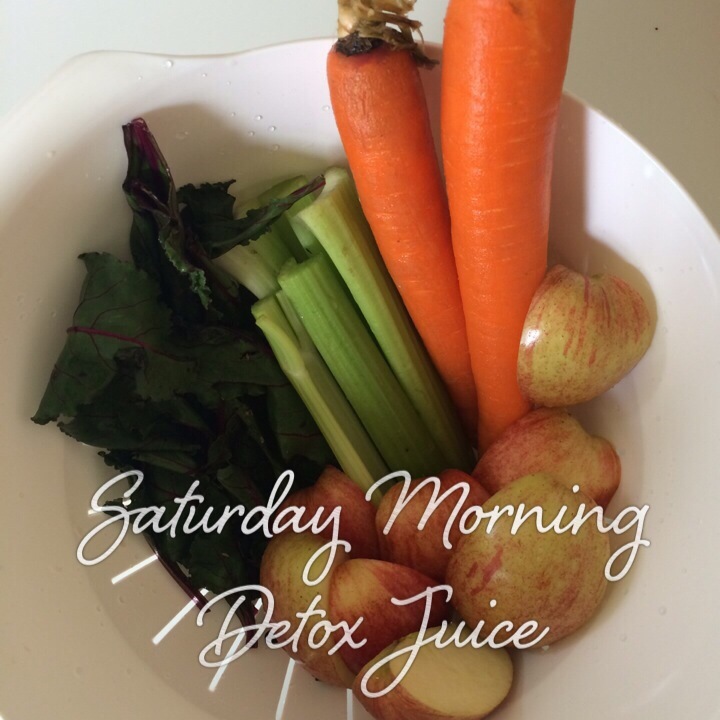 I’d love to see some of your juicing concoctions! Can’t wait! Have a great Saturday!